Happy Friday everyone, Colleen here from Faith, Hope, Love, & Luck. Thank you so much for sharing your amazing recipe and craft links last week. I really did have so much fun going through all of them and choosing a few to share with y’all this week. I hope you’re excited about them as I am. For those of you who are yeast-challenged like I am, you definitely need to check out this recipe for How To Make Beer Bread from The Kitchen Is My Playground. When it comes to baking bread with yeast, my results are usually pretty depressing, so I’m always up for a homemade bread recipe that requires no yeast and very little effort to make. So, now that we have such an easy-to-make bread recipe, we’re going to need something to slather on top of it. How about this Strawberry Balsamic Sweet Onion Jam from The Saucy Southerner? Doesn’t it sound like the perfect combination? For those of you that know me well, you probably remember that I’m not the biggest fan of cupcakes, however, these Easy Flamingo Cupcake Toppers from White House Crafts could easily make me change my mind. Have any of y’all ever tried a lamb burger? I know I sure haven’t. These Cherry-Stuffed Lamb Burgers from By the Pounds are simply demanding that I make them right away without delay. Alright now, this last Friday Frenzy featured recipe is a real doozy. Y’all, this Texas Chocolate Sheet Cake with Buttermilk from Back To My Southern Roots was just too drool-worthy for me not to share. Don’t you just want to grab a fork and dive right in? Thanks for joining me in the Friday Frenzy; I look forward to seeing what you have to share this week. Make sure to pin this week’s featured recipes and crafts and join the party by adding your link below. 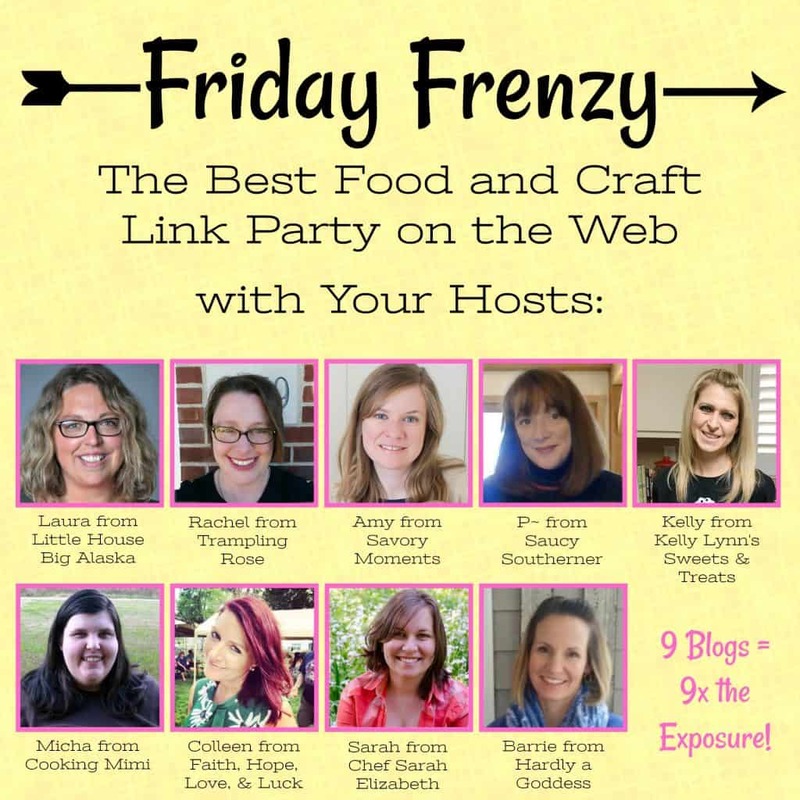 This entry was posted in Stuff and tagged foodandcrafts, friday frenzy, link-up party by Rachel. Bookmark the permalink.